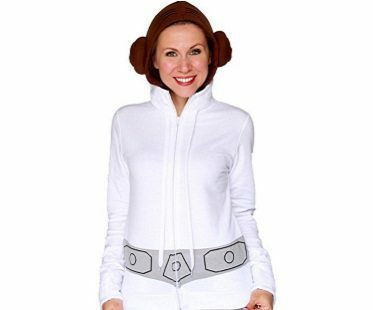 If you've always wanted to be Princess Leia but never fancied wearing the gold bikini then how about this instead? 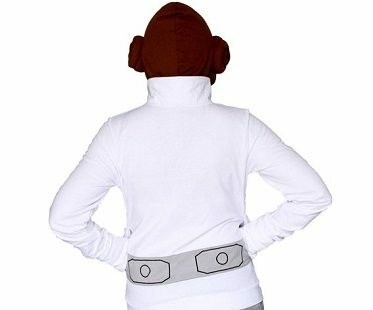 This Princess Leia hoodie is fun to wear to fancy dress parties or for simply lounging around the house to keep warm in. 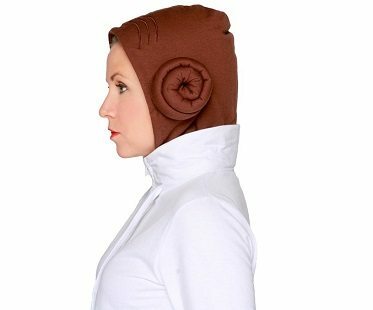 It features two hair buns on the hood just like her iconic style from the movies.